Cantabria is a rather untouristy place on the North Coast of Spain, though it has a lot of offer historically, culturally and landscape-wise. The Cantabrians love their region because it gives them so much to do all year around: in summer you can go to the wonderful beaches, and in winter you can have a lot of fun with winter sports in the mountains. In between, you can always enjoy the valleys. But of course, you don't have to stick to a particular season to enjoy what the region has to offer. 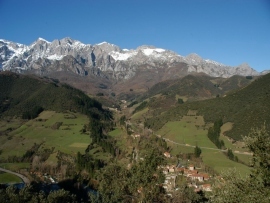 Cantabria played an important role during the Roman Empire because the Cantabrians apparently made good mercenaries! Cantabria also was the home of Pedro Velarde y Santillán, who was a very important character in the Spanish war for independence, and you can see monuments dedicated to him in various places throughout Cantabria. Cantabrian has direct ferries to the British Isles. Even though it is not very touristy in general, you can expect to see plenty of British tourists during the summer months, but they usually tend to hang out close to the towns where the ferries land. This is a unique park in Spain, in which you either need your own vehicle for a self-guided tour or have to book one of the guided tours. In this park, you can get close to a variety of wild animals who live in semi-natural enclosures (that don't look like enclosures at all). You can see tigers and giraffes, but the most impressive animal you might get to see is the Cantabrian brown bear, who is quite endangered. While the Cantabrian outdoors are full of wildlife (you might even get to see wolves, depending on where you go and what you do), it is rather rare for someone to come across the Cantabrian brown bear, so this nature park might be your only chance (and it's also safer than meeting those animals in the real wild). Santander is the capital of the region, and the best place to start if you would like to learn more about the region's heritage and culture. There is a wonderful cathedral, stunning Romanesque and Gothic churches, and of course also museums in which you can learn more about the city's role during various periods of time. 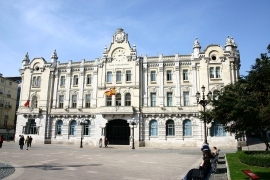 Santander is also the place where you can find archives, if you need to look up something related to very distant ancestors. However, thing will definitely be a lot easier in that regard if you speak Spanish or have someone who can help you with the process, as it's all not very straight forward. It also helps that Santander has plenty of beaches to offer, so you can also relax if you feel the need to (or just want to!). 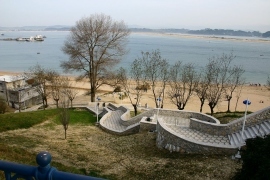 Santander is also very famous for its fantastic seafood. The seafood comes fresh from the sea, and you shouldn't miss out on giving it a try because the chefs in Santander are masters when it comes to preparing seafood in delicious ways. Santillana del Mar is a very picturesque village in Cantabria. 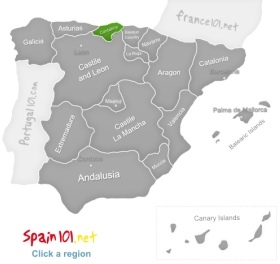 The name is translated as “holy, flat village by the sea”, and as Santillana del Mar isn't really at the sea (it overlooks the sea but it is basically inland), and isn't particularly flat nor holy, the people of Spain sometimes joke and call it the city of the three lies. The city itself became bigger over time because the monastery (from the 12th century) “La Colegiata” was an important place of pilgrimage, and so it was only natural that a whole city formed around it over the centuries. Most of the buildings in Santillana del Mar are from between the 15th and 17th century. This adds to the charm of the city, and it feels like you are stepping back in time when you visit Santillana del Mar. While you are in Santillana del Mar, you should also take the time to visit the famous Cave of Altamira. There are paintings inside the cave that are over 15,000 years old. Only very few people are allowed in the original caves, but you can visit the “new” cave of Altamira and the surrounding park without restrictions. The park shows what life must have been like 15,000 years ago, and the new cave of Altamira is a copy of the original cave, so people can see what it is like, while the original cave can be protected. There is also a great museum about the caves, and if you have any interest in our very early ancestors, then the cave of Altamira is a must do.